See Meadowside Beauty Salon at Hair Masters Salon and Spa’s waxing deal. This deal is a very hot seller. Groupon has already sold over 400+ vouchers at the time of this post. Promotional value expires 90 days after purchase. Amount paid never expires. Tax and gratuity not included. Appointment required. Limit 1 per person, may buy 2 additional as gift(s). May be repurchased every 30 days. Limit 1 per visit. Valid only for option purchased. All goods or services must be used by the same person. Merchant’s standard cancellation policy applies (any fees not to exceed voucher price). Merchant is solely responsible to purchasers for the care and quality of the advertised goods and services. Kaim Aujla of Meadowside Beauty Salon provides an array of professional beauty service to leave clients looking and feeling their best. Waxing, eyebrow threading or tinting, facial treatments, manicures, and pedicures with gel polish is only the beginning. 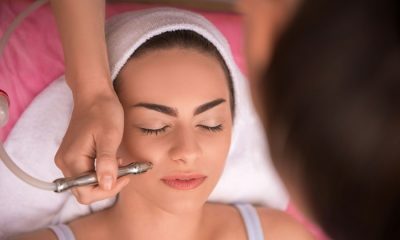 Clients can also receive microdermabrasions, oxygen facial, skin tightness treatments, and laser permanent hair removal treatment.